This might not come as a shock to you: I am a HUGE fan of curry. Curry is on the menu about three times a week. There are many variations to curry, but, my favorite remains the lentil curry. If you do a Google image search for curry, you will see a colorful spread of curries. They also rang from very easy curry recipes to very intricate curry styles. I have seen curries with Italian flavors and they look amazing. 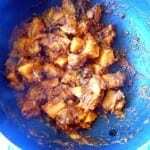 I use boiled sweet potatoes for this recipe. You can also bake sweet potatoes and cut them into cubes. Today’s curry the sweet potato curry. I have often been asked, “How do you make curry?” Now, I will just direct them to this recipe. I came up with sweet potato curry because many people find potatoes to be somewhat unhealthy. I don’t necessarily agree with that, but, I am happy to provide a healthier version. This is a vegan curry recipe, but, feel free to make this curry according to your tastes. Also, if you are inclined to do so, this can turn into a slow cooker curry recipe. Take all the ingredients and place them into a slow cooker. It should take about 7-10 hours, depending on your slow cooker. I like to put them at “High” when I start the cooking. After about 4 hours, change it to low and let it cook for another 4 hours. Be sure to stir it often. This Indian recipe is one of my favorite recipes to showcase on my blog. Indian cooking can be fun to make and eat, but, you have to put up with the heavy spice aroma. What is your favorite Indian Curry? 9. Add the tomato paste. 11. Let this mixture cook until you see all the oil separate. Shouldn’t be more than 15 minutes. 13. If you are using the flax seed meal, add it now. Let this mixture cook until you see all the oil separate. Shouldn't be more than 15 minutes. If you are using the flax seed meal, add it now. Delicious Indian curry recipe! Every one of us adore to have potato curry, thank you so much for putting the process so clearly. Good one! Thank you, Yummy Foods. I am delighted to hear that. I just love sweet potatoes and turmeric. Fabulous antioxidant rich recipe! Thank you, Linda. I love turmeric too. Hi, I chanced upon your lovely blog today. 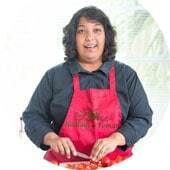 Just got off your ‘About’ page and I must mention that we have few things in common – love for tomatoes and cooking being therapeutic. 🙂 I am so glad to see you blogging Indian food. 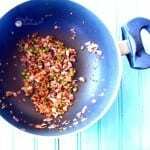 Rini, if you were to make this dish again, try adding asafoetida to the tempering, at the time of adding the mustard seeds. 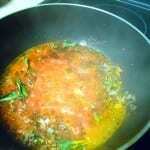 Add 1/4 tsp of asafoetida and it adds a wonderful flavor to the dish. Thank you, Sailu. I am so happy that you liked this recipe. 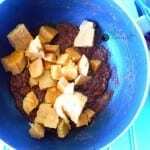 I like your butter paneer masala recipe and will make it soon. 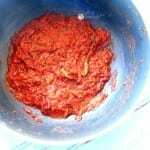 I want people to use Asafoetida as often as possible. However, most of my audience doesn’t have easy access to it. I recommend it from time to time and hopefully people will start using it more. 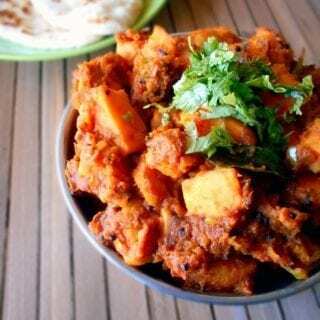 I love the combination of curry and sweet potatoes! Thank you, Mike. You have me craving Baingan Bharta now. This curry sounds lovely! 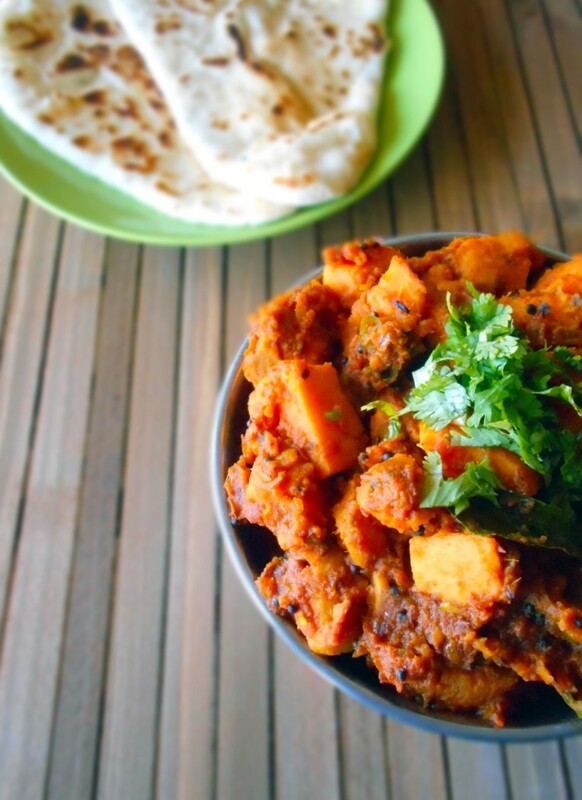 I have never tried a sweet potato curry but I really must make this! I am salivating at these photos! This sounds like an amazing dish and I can’t wait to give it a try! Thank you so much, Chelsea. I love yellow, green, red curry, but I have never made it myself. Thanks for the easy instructions on how to do this. I think it’s time I give it a try! Thank you, Kelly. I think you are really going to like this recipe. Oh, so love the flavor combination!!! 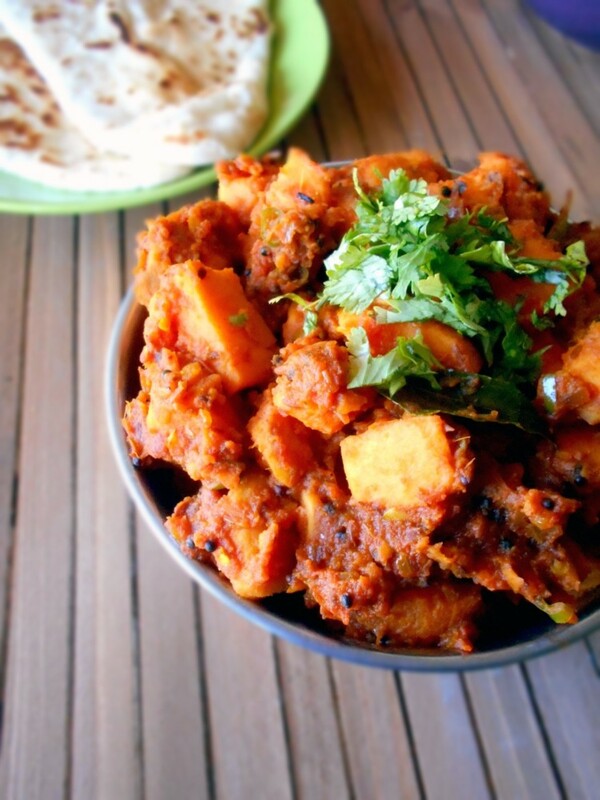 Curry with just sweet potatoes. You are a woman after my own heart. Rini! I am so intrigued by this curry recipe! I’ve been wondering how to make curry from scratch ever since I saw chef Nong Poonsukwattana make it on Chopped a while back. Thanks so much for posting these instructions! I’m wondering though–I have an herb in my garden that is called “curry” but it doesn’t look like what you have shown in your photo. It looks really similar to rosemary but it smells like “curry”. Are you familiar with it? Do you use it? Thank you, Tracey. It has been a while since we talked. Hope all is well with you. I am not sure what your curry leaves may look like. I think you may have the Curry PLANT not the Curry Leaves? The curry plant is not edible, but, the curry leaves are edible. Curries are my favorite too and I’m always looking for new recipes and I just found my newest. Looks so good. Thank you, thank you, thank you!! Step-by-step curry makes this favorite much less intimidating Rini. This recipe sounds wonderful. Thank you, Libby. Curry is one of the simplest recipes to make. I think you will love making it.